Boots is very well known for having great deals and there’s nothing better than seeing a Baby and Toddler Event, these offers are great for parents who are looking for a bargain for their little ones. When this event goes live later on in 2019, you’ll be able to pick up all sorts of reduced products ranging from clothing, toys and even accessories plus so much more! When is the Next Boots Baby Event in 2019? When the Baby Event is due to go live, you’ll be the first to know thanks to insiders keeping a lookout, if anything is leaked then our editors will post all of the details and dates below. Where to find the Baby Event – If something pops up this April, you can find the Baby Event Boots official website, along with everyday sales that may come in handy at some point. However, when the Event goes live you’ll be able to find it here, any changes will be left in the comment section. This baby event will come in handy as we’re expecting a newborn in the next couple of months, better start saving this could become expensive. its only January and there are so many expected sales on at boots, i have a feeling this could become a very expensive year! I love a boots sale there is always so much to choose from. The Boots Baby Event has now gone LIVE! Make sure you go grab a bargain today! Yes finally!! can’t wait to see what they have to offer, thank you! I’ve just purchased some nappies, its buy on get one free, I couldn’t say no! This sale is perfect, my little one was needing new bottles and I’ve just managed to pick up a pack of 6 tommee tippee bottles for half price. 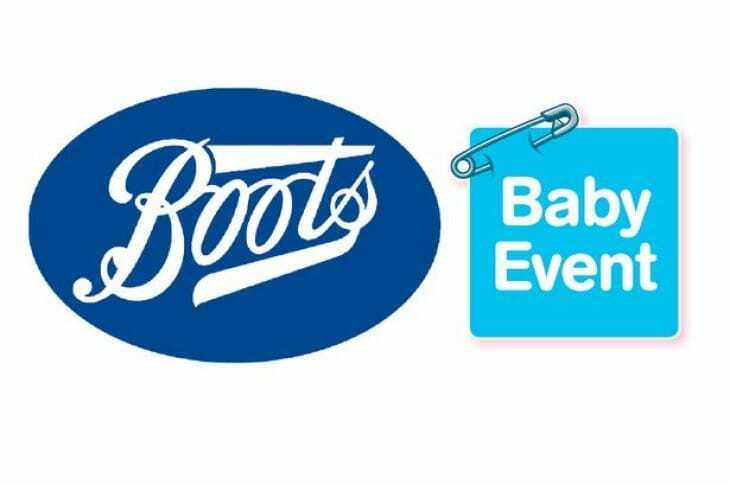 Boots Baby Event starts on Wednesday January 17, the first Boots Baby Event for 2018! Big brands are promised and it will be available both in-store and online too. Get ready for it and let us know what you find. waiting for this baby event too, heard strollers could be 70% off?? Boots baby event is due to start tomorrow, 16th January, 2019. This is exactly the same day Sainsbury’s are expected to also start their baby sale. This sale is brilliant, there is so many things to choose from. I’ve just managed to get our little one a pack of 12 huggies pure baby wipes for Â£6, it’s a bargain! Thanks!